IT'S not the boldest of predictions given Australia hasn't won the Ashes on English soil since 2001 - and will take a far inferior side this year - but Michael Vaughan has rubbished our chances of an upset in 2019. In a column for The Telegraph, Vaughan wrote Steve Smith and David Warner could not save the rabble that was on show in a 2-1 series defeat against India. 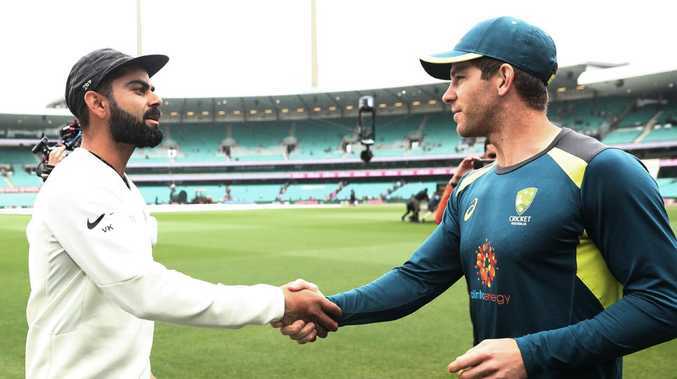 "If you think Australia's problems will be solved the moment Steve Smith and David Warner are available for selection again then you are wrong ... every facet of their Test team has to improve," he wrote. Such is the former skipper's confidence he declared England shouldn't even bother preparing the types of bowler-friendly pitches that have tormented the Aussies on recent tours. "I don't think you need to do that against this Australian side," Vaughan wrote. "England do not need to take any risks. Just prepare a good Test match wicket because the best team will come out on top and in English conditions that is England." India suffered a 4-1 Test series loss in England last year. The fact the world's top-ranked Test side, featuring the world's most patient batsman in Cheteshwar Pujara, failed to disarm England does not bode well for Tim Paine's incredibly unsettled XI. Paine suggested it was far too early to look at Australia's push for their first series win in England since 2001. 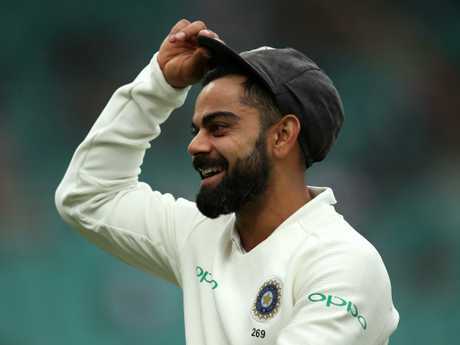 But Kohli, who scored 593 runs at 59.3 including two tons in England last year, proved a source of support after completing India's maiden Test series win in Australia. "We've all gone through those phases where you figure out what needs to be done and it's just mindset," Kohli said. "If the same batting unit can go out there more confident and believe that they can do it, then definitely it can be done. "You just want to get away quickly but in England you're not allowed to do that. So you have to buy your time. "You have to earn the right to score runs ... do the hard yards." Kohli added. "If you go out there with an ego, you might as well not go at all, because that Dukes ball, it buries egos pretty quickly. Grind it out the whole day ... be patient. "Australia have got good talent in their team and I'm sure they are going to regroup and come back to be the dominant force they are." A Dukes ball will be used in the second half of the Sheffield Shield season. Steve Smith and David Warner will be an obvious boost but both batsmen were part of Australia's previous tour of England in 2015, which the visitors started as favourites. Australia were memorably bowled out for 60 at Trent Bridge in 2015, highlighting the difficulty posed by the likes of Jimmy Anderson and Stuart Broad in bowling- friendly conditions. But Shastri suggested Australia will be up to the challenge. "In England, we lost it because the lower order often got runs against us ... that can be a big difference," he said. Australia's two-match series against Sri Lanka, starting in Brisbane on January 24, will be their final Tests before the Ashes begin in August. "I don't think we can look to England just yet, need to play Sri Lanka first," Paine said.